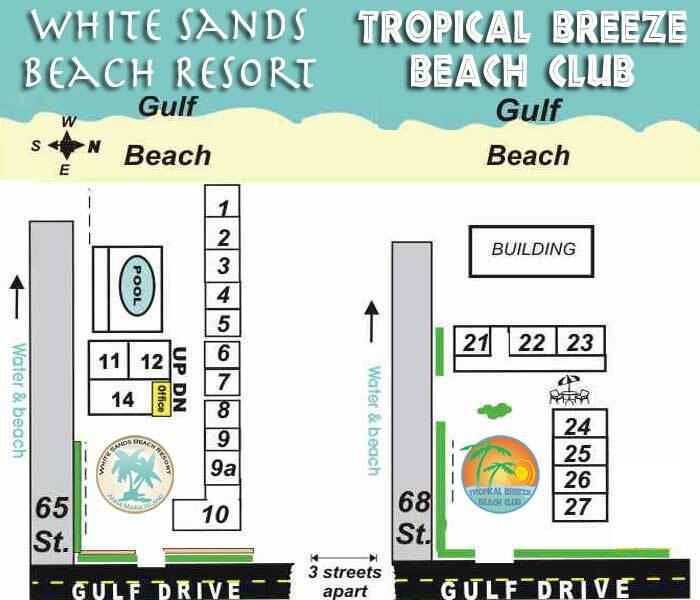 Apartment #1 is a Gulf front & gulf view, Non-smoking unit. This beautiful Island style 2 bedroom unit has a 42 inch flat screen TV and Fireplace and a queen sofa sleeper in the living room, 2 separate bedrooms, one with 2 twin beds & the other with a 1 kings size bed. This charming 2 bedroom unit has a complete eat in kitchen with 5 piece dinette set & completely furnished with pots & pans dishes, toaster, coffee-maker, range/oven, & refrigerator, towels & linens, family room, Free wireless internet, Free local calls, free video, free assigned parking, smoking area, and free local Trolley. Sorry- No Pets allowed. Check in time is 2 PM, Check out time is 10 AM. Clean towels are provided every day.